Fazil Say is my favorite classical music virtuoso. He is one the biggest artists in his time. Because he is not only a performer but also a composer. Can you imagine that he composed his first piano sonata when he was 14 years old? I barely started to write my first stories, at that age, lol. Such a talent. It is such a privilege to have him in New York again. He came to New York almost 2 years ago last time. I was so happy to listen to him live for the first time. 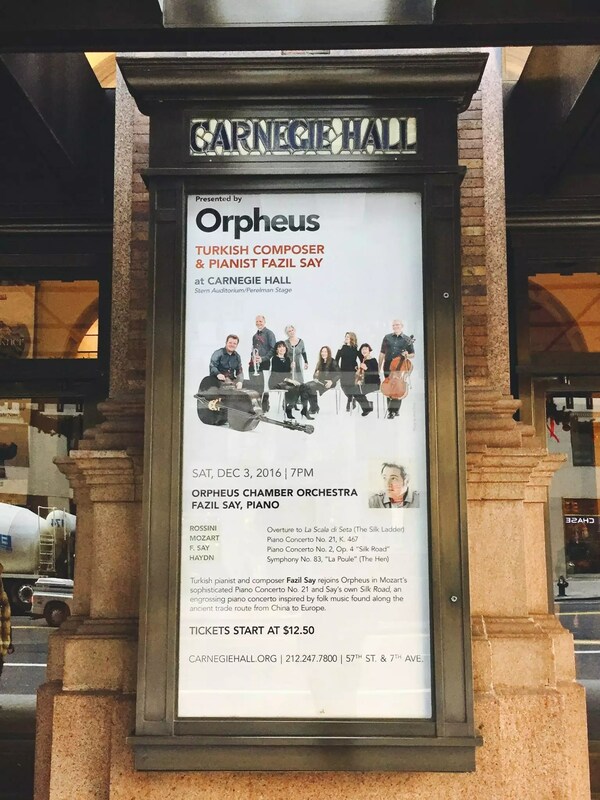 It’s one of the biggest moment of my life to listen to him in New York’s best Carnegie Hall. It is hard to explain but when you come from developing countries like Turkey, It is such a big deal to see your one of the most famous artist in New York. He is not only appreciated by Turkish audience but also Americans. Especially this second time he has larger American audience than the first time. I was so happy to listen him longer this time. He stayed less in the stage in the previous concert. And the piece he performed was out of this world. He performed his Second Piano Concerto, Silk Road which he composed when he was 24 years old. I don’t if you can imagine it but think about a sound that actually comes from a very classical music instrument but with very folkloric tunes. You should see him how deep his connection with his piano, like a kind connection between equestrian and a horse. It was such an inspiration for me. I felt like he didn’t only touch to the piano keys but our souls with his fingers. 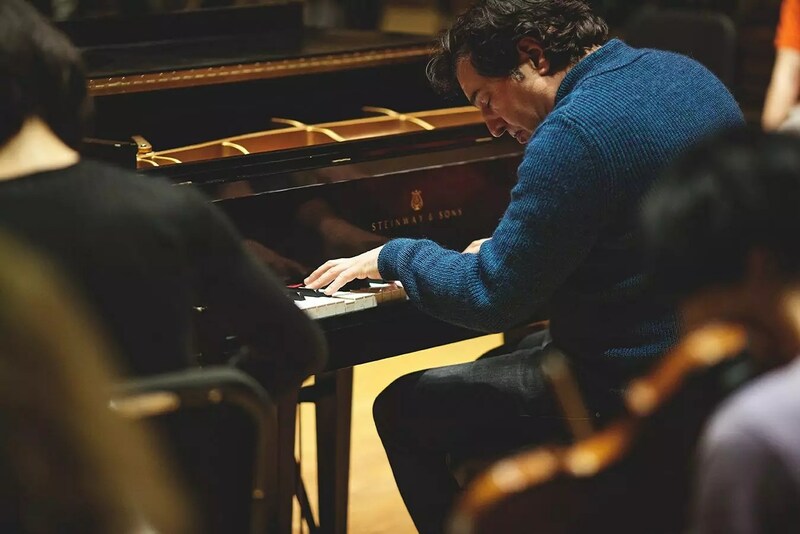 Fazil Say is an artist who can blend West and East without playing too hard. I love how effortless he is. Please listen Silk Road one more time from him. P.S. Thanks to some of Turkish audience who left the hall right after Say’s part ended! You show how deep your respect for art! !